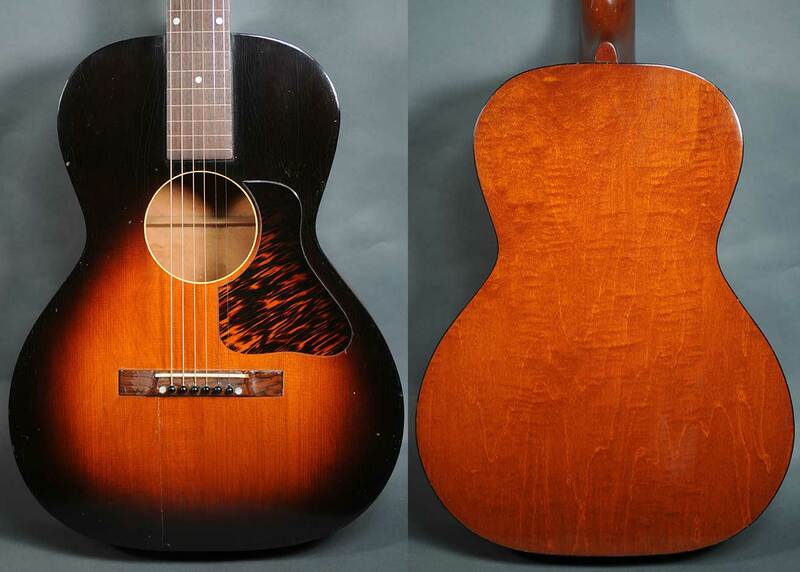 L-00 size body, ladder braced solid spruce top, maple back and sides. Tortoise colored binding on top and back, firestripe pickguard, 12 fret neck, original raised nut and saddle. 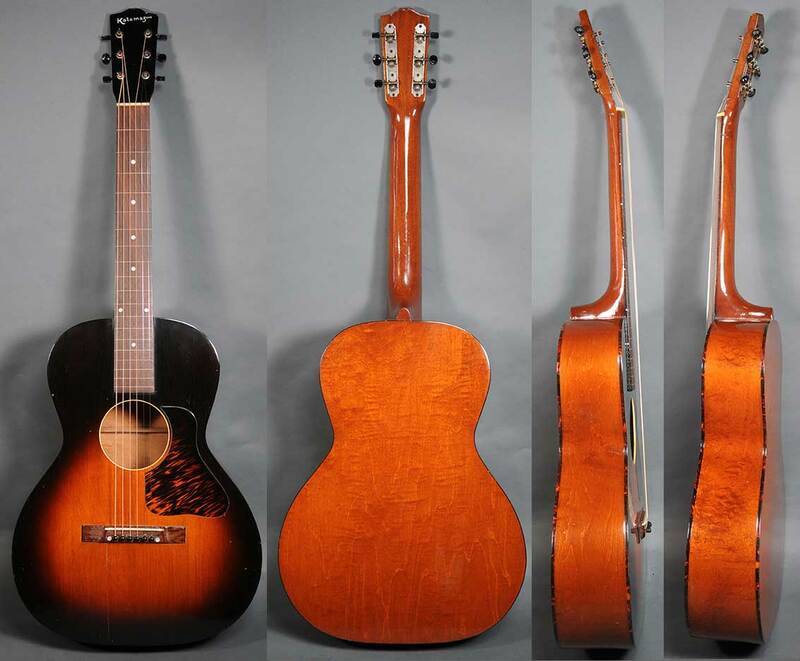 This example shows looming wartime shortages with flush wood fret markers rather than metal frets and riveted gears on the tuning machines.